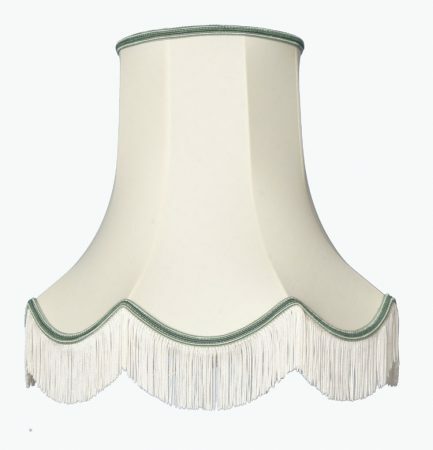 Cream and dark green lampshade handmade in the UK. A traditionally styled clip on scallop design made with a cream fringe and dark green braid trim. Please see additional image for colour braid options. These lamp shades fit to the candle bulb as suggested, by clipping over the bulb itself.